8/23/16 In a few weeks Sand Dollar, Sand Dollar will be released, along with other books on Babl Books’ list, in a new ebook with audio format. Spanish language versions will come first and will be designed for the IPad. Consumers will be able to purchase the ebook with audio on a subscription basis at about $2.99 per month. 6/23-28/16 Babl Books will be at ALA in Orlando promoting my Sand Dollar, Sand Dollar as well as books by David McPhail, Maryanne Cocca-Leffler, and other well-known authors and illustrators. They will be at booth #1067F near We Need Diverse Books in the Diversity Pavilion. 5/21-29/16 Spent an amazing week as an Author/Artist in Residence at the ACS Cobham International School in Cobham, Surrey, England working with 300 children from pre-K up to the 2nd grade. I feel so honored that they invited me and it was such fun! Find out more here. Or here. 5/13-15/16 Attended a fantastic mentoring weekend – Big Sur on Cape Cod – organized by the effervescent Andrea Brown of Andrea Brown Literary Agency, Inc. See my blog post here. 3/30/16 The German version of Sand Dollar, Sand Dollar (Seeigel, Seeigel) is now available! You can find it here. 3/23/16 Stephanie Hurlbatt, a librarian at ACS International School in Surrey, England, has invited me to be a visiting author/artist for a week at the end of May! I will be working with children from pre-K to grade 2 and we will be talking about Sand Dollar, Sand Dollar, nature, art, writing and sculpture. It will be so much fun! 1/8/16 Check this out! 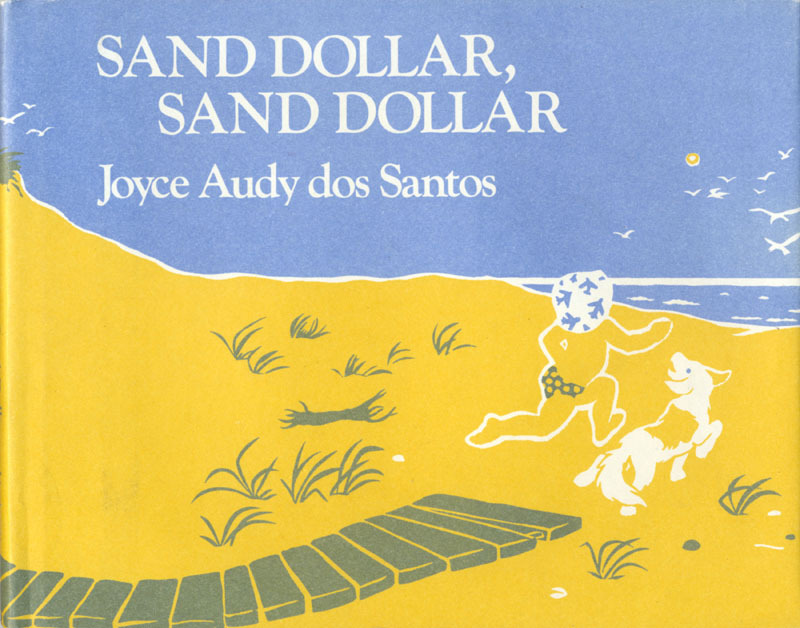 Sand Dollar, Sand Dollar, my first picture book of long ago, is now available on Amazon in five languages! French, Spanish, Vietnamese, Portuguese, and Tagalog. All are paperback and all have the English text also. 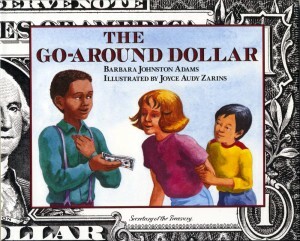 The book is being reissued by a small Boston start-up, Bab’l Books, Inc., whose mission is to provide dual language books to kids ages 3-7. Other languages and a Kindle version may follow. 12/29/15 Today I received an e-mail from Chelsey Henshey, Associate Editor at Writers Digest Books informing me that my YA short story Birna received an Honorable Mention in the Writers Digest Popular Fiction Awards in the young adult category. 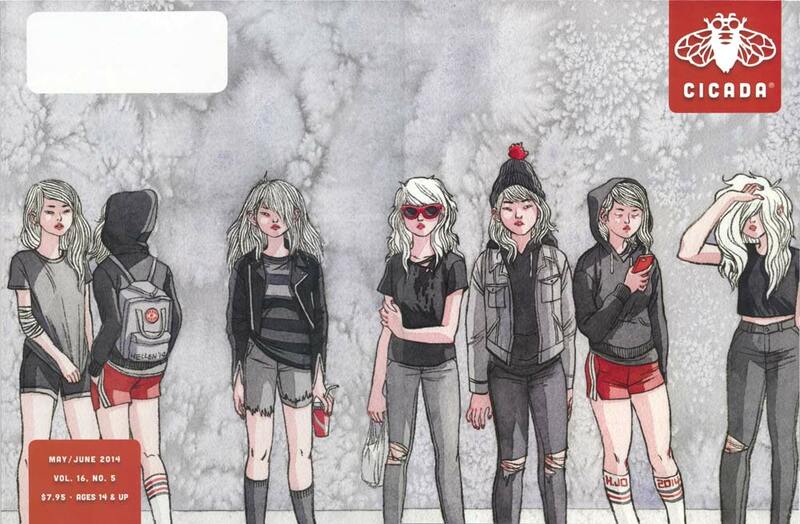 Birna is one of the YA stories in Exchange: Short Stories in Diverse Voices. 12/19/15 Merrimac cable TV did a 34 minute interview with me about Sand Dollar, Sand Dollar. the video can be found here. You can “View Now” – do a search for Joyce Audy Zarins and there it is! 12/7/2015 Here it is! 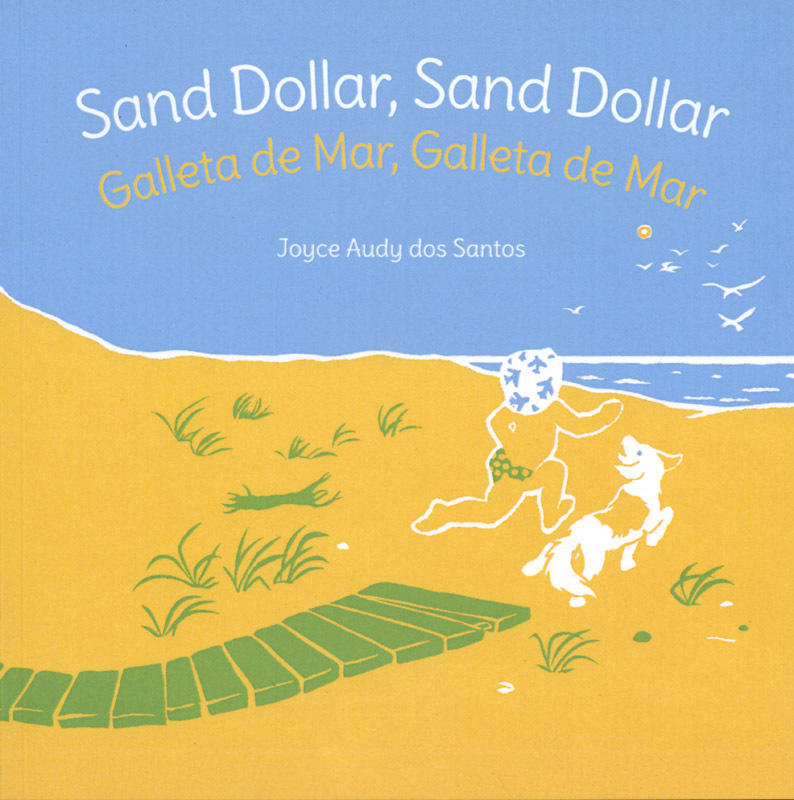 Sand Dollar Sand Dollar is available as a paperback dual language English/Spanish edition through Amazon in the UK, US, and Europe. You can purchase a copy here. 5/23-6/2/15 Iceland! At Valsarskoli I helped 41 kids in grades 1 to 10 paint murals. My second time ever working through a translator (with the younger kids). The 8th to 10th graders speak English well. Cool conversations ensued. They did conceptual self portraits on the walls. So much fun! 4/27/2015 – Spent the past three days at NESCBWI 2015 conference in Springfield. Fantastic. Dan Santat, 2015 Caldecott winner for his The Adventures of Beekle: The Unimaginary Friend, and Kwame Alexander, 2015 Newbery winner for The Crossover, were among the fantastic speakers and the workshops were, as always, intriguing. And the attendees! Tribe building is fun. 1/26/15 YALSA’s Morris Awards blog tour is this week. I’ve reviewed The Story of Owen: Dragon Slayer of Trondheim by E.K.Johnston and Thursday I will post a review of The Scar Boys by Len Vlahos. The reviews are at http://writersrumpus.com/ and http://constructions.joyceaudyzarins.com/. For a list of the full blog tour go to http://cincopuntospress.blogspot.com/. 12/1/14 Heading up north! 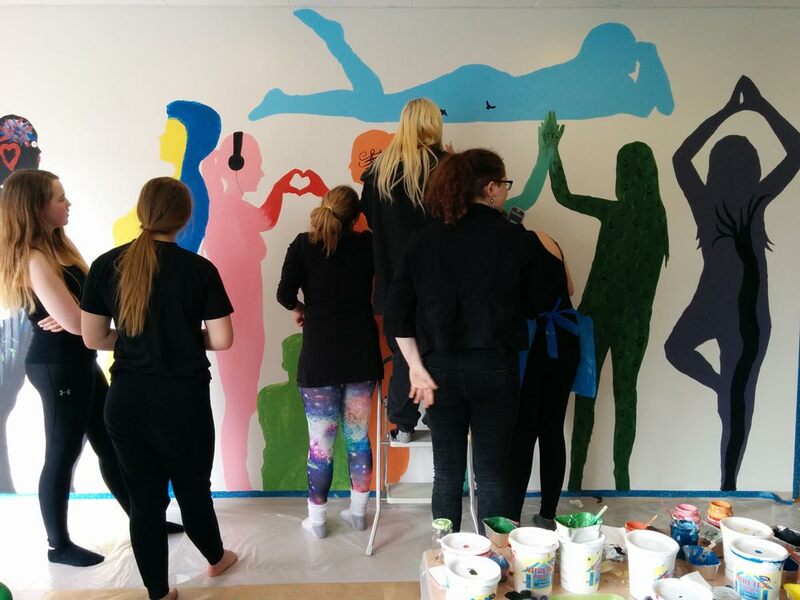 An elementary school in Iceland needs a mural painted by the kids and I was asked to help coordinate! In May, 2015 I will fly to Keflavik, then drive 6 hours north to Akureyri. 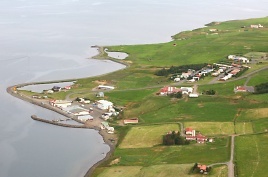 The school is actually on the other side of the fjord, in Svalbarðseyri. While I’m in that general area I’ll also visit the museums at Glaumbaer showing the lifestyle of about 800 years after Gudrid Þorbjarnardóttir lived there. 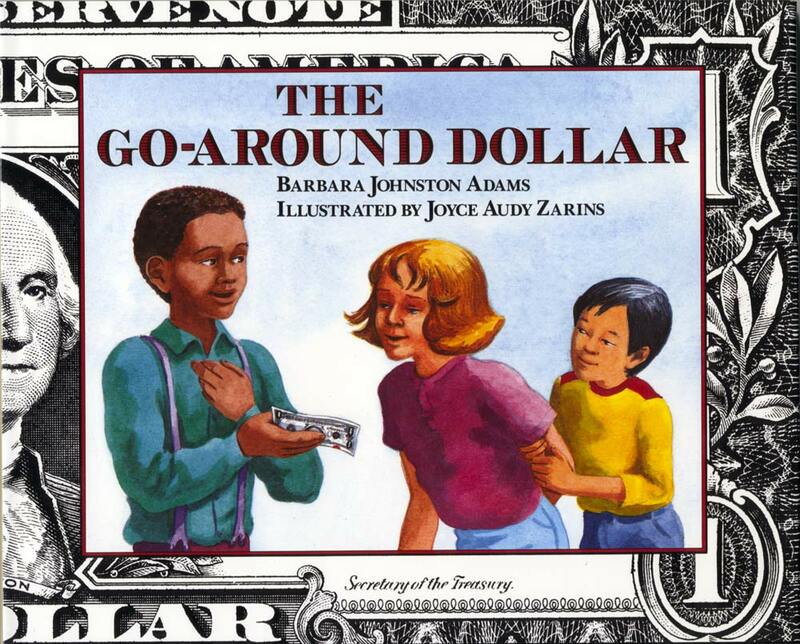 6/4/14Yesterday I received a surprise in the mail – a new copy of The Go-Around Dollar from Simon & Schuster – because the book has reprinted yet again. Amazing that it has been going strong since 1992. Originally published by Four Winds, an imprint of Macmillan, it was bought by Simon & Schuster and they have done well with it. Thanks, guys! Cicada magazine cover – art by Hellen Jo of LA. On 4/24/14 I received two sample copies of the May/June issue of Cicada Magazine! 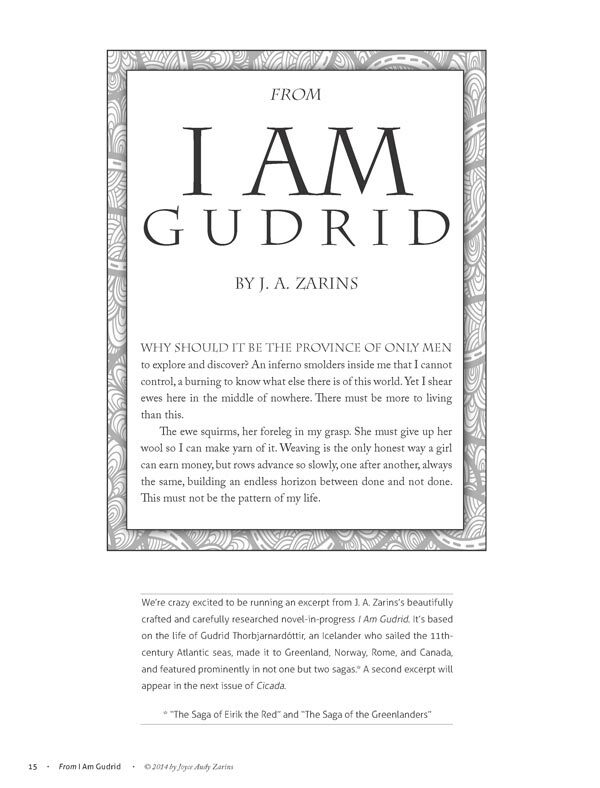 That’s exciting because part 1 of my novella I Am Gudrid is right there inside. It’s an excerpt from my YA novel about Gudrid Thorbjarnardóttir, also known as the Far Traveler, who is in two of the Icelandic sagas set in the Viking era.The cover art was done by Hellen Jo, an illustrator and cartoonist from LA who draws for a show on the cartoon network. Part 2 of the novella I Am Gudrid will appear in the July/August issue of Cicada. Look for Finding Your Other Markets, a post on Writers Rumpus and constructions April 25, 2014.